The Grenada Athletics Association extends congratulations to the pride of Grenada, Kirani James, on his outstanding performance in winning the Bronze Medal in the 400 meters at the 15th IAAF World Championships in Beijing, China. Kirani has competed in three World Championship and one Olympic Games, and he has secured three medals to add to his list of achievements. Kirani won the World Champion title in 2011, the Olympic title in 2012, and now secured bronze. The GAA is extremely proud of the achievement of Kirani. 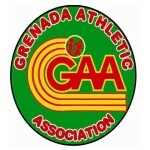 His humility, dedication, hard work and perseverance, have undoubtedly brought great dividends not only to himself, but the sport and the people of Grenada. Kirani has demonstrated that with the talent and the right attitude, the sky is the limit. He continues to be an excellent ambassador for athletics and the Country of Grenada, one in whom we are extremely proud. We join with the rest of the Grenadian community in acknowledging the exploits of our Ambassador, Kirani James, on his 2015 World Championship Bronze Medal. We wish God’s continued blessing upon him as he continues to fly the Grenada flag on the international track and field circuit.